I am writing this letter to inform you that one of your employees visited us last month and after complete satisfaction, he gave us an order of 300/500/1000 school uniforms (more/less). (Describe in your own words). I would like to inform you that your order for the school uniform is ready to dispatch. We were continuously trying to contact your representative but failed. (Explain the actual cause and situation). I request you to inform us of the date to deliver your order. (Describe your requirements). We are waiting for your response. This is to inform you that the winter uniforms of the students from (Class or Grade No.) are now available at (School/institute name and campus name). 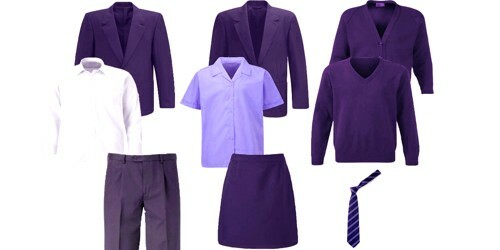 You can come from [Date to Date] between the times (time to time) for the collection of your child’s uniform. (Describe in your own words). As the amount of the uniform was already added in the (Session name – summer/winter) Fee circular, so you do not need to pay any sort of charges. Furthermore, as proof that you have paid the amount of the uniform please bring the copy of the paid fee circular so we can keep the record of the students who have received the uniform. (Describe your requirements). Once you are at the campus, go to Admin Office and they will hand over your package after taking signatures.